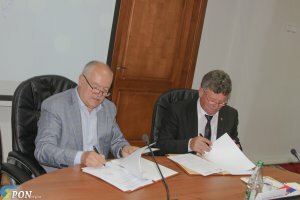 The Trade Union of Education and Science Workers of Ukraine was established in September 1990, however, it continues the rich history of the teachers’ trade union movement in Ukraine whose origins date back to the beginning of the 20th century. 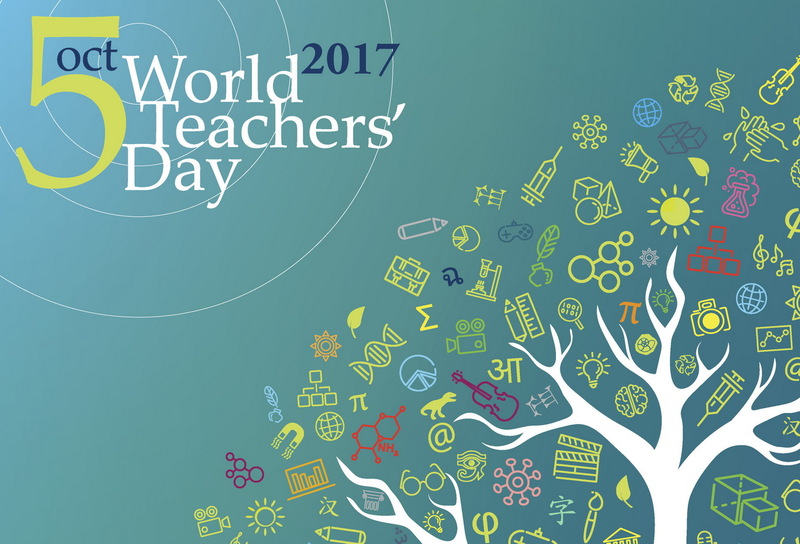 The first national teachers’ union was set up in 1919 and underwent several reorganisations during next 70 years. 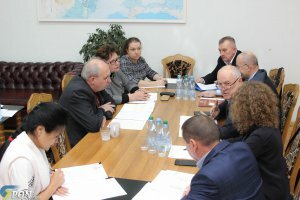 On November 1, after the protest actions organised by trade unions throughout Ukraine on October 9 and 17, President of the Trade Union of Education and Science Workers of Ukraine Georgiy Trukhanov had a meeting with Deputy Minister of Education and Science of Ukraine Pavlo Khobzei in the building of the Ministry of Education. On October 17, the International Day for the Eradication of Poverty, trade unions organised an all-Ukrainian protest action in Kyiv. 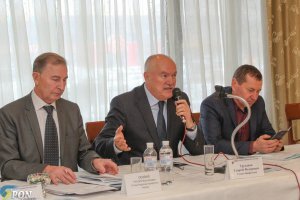 In December 2017 the State Budget 2018 is to be passed in Ukraine. 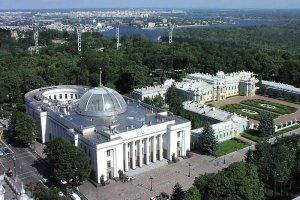 The draft budget does not fully satisfy the Trade Union of Education and Science Workers of Ukraine, TUESWU, nor other trade unions of Ukraine, in particular with respect to the social and economic welfare for workers. 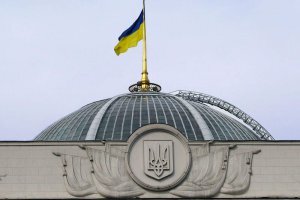 At the beginning of September 2017 the Parliament of Ukraine passed the new law of Ukraine on education. 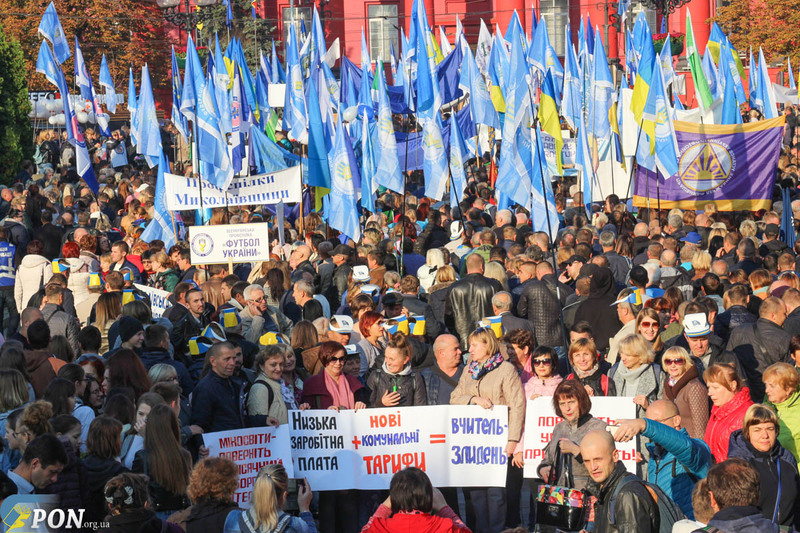 For several months the Trade Union of Education and Science Workers of Ukraine had been lobbying to prevent curtailing of teachers’ rights in the new law. 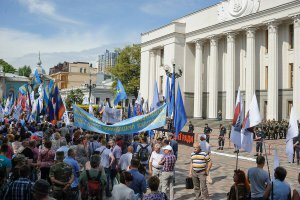 On 13 July 2017 teachers from different regions of Ukraine picketed the Parliament of Ukraine protesting against restriction of teachers’ social and economic rights and guarantees in the new draft Law on Education. 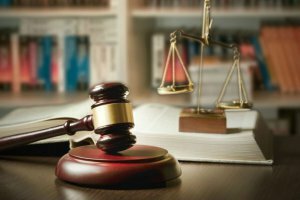 The draft law was on the agenda of the Parliament that day but parliamentarians failed to consider it before the summer holidays and the consideration of the draft law in the second reading is postponed till September. On 19-21 June 2017, the international Ukrainian-Slovak workshop «Achievements and Challenges of the Education Trade Unions» was held in Uzhhorod City in Ukraine, located near the Ukrainian-Slovak border. Trade Union of Education and Science Workers of Ukraine was represented by its President Georgiy Trukhanov and heads of regional organizations. 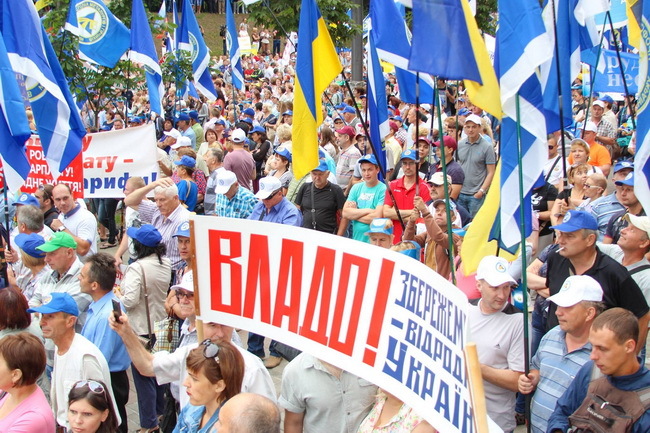 Trade unions’ victory: new tariffs on gas have been cancelled! April 10, 2017. 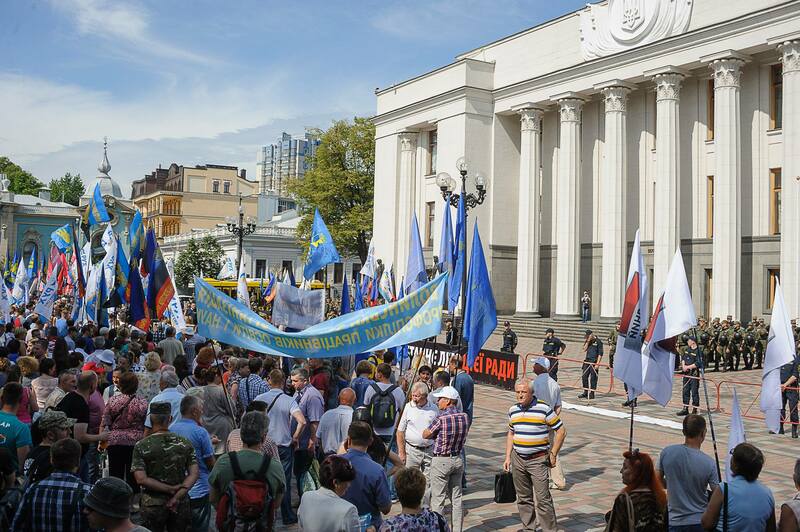 Trade unions picketed the office of the National Energy and Utilities Regulatory Commission. 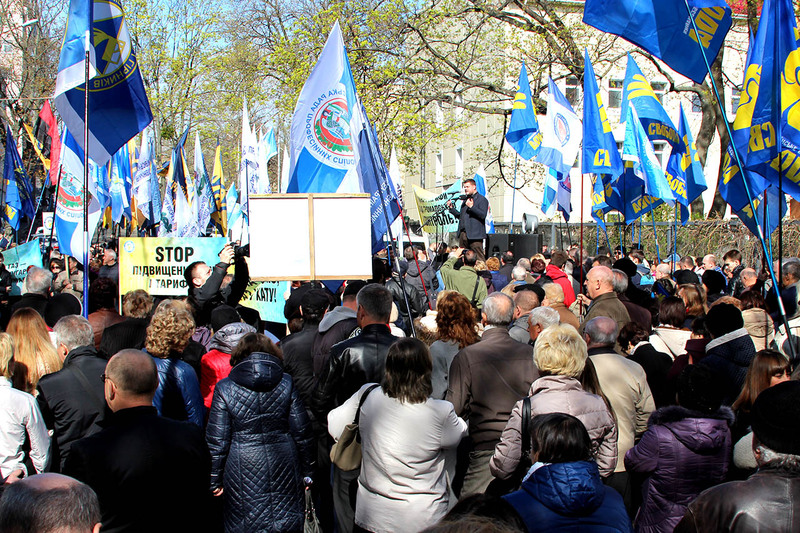 Protesters demanded from the National Energy and Utilities Regulatory Commission to cancel its decision of 28.03.2017 «On establishment of tariffs for transportation and distribution of natural gas», according to which the gas prices for households and business increased. 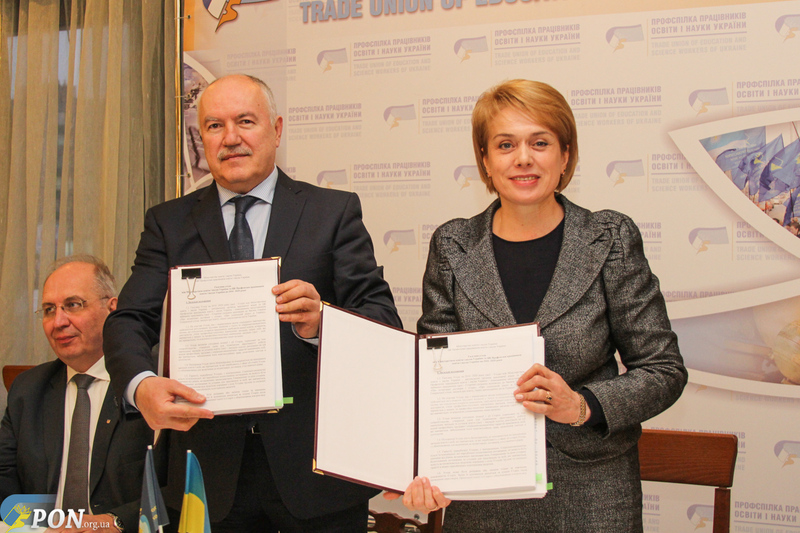 At the end of November 2016, at the Kiev Plenary Session of Trade Union of Education and Science Workers of Ukraine (TUESWU), a new Sectoral Agreement with Ministry of Education and Science of Ukraine was signed for 2016-2020. 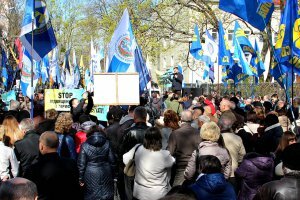 On 1 November 2016, the Trade Union of Education and Science Workers of Ukraine, TUESWU, one of ETUCE’s Ukrainian member organisations, staged the All-Ukrainian protest action in Kiev. The initiative to hold this action was taken by the Kiev city organisation of the education trade union. 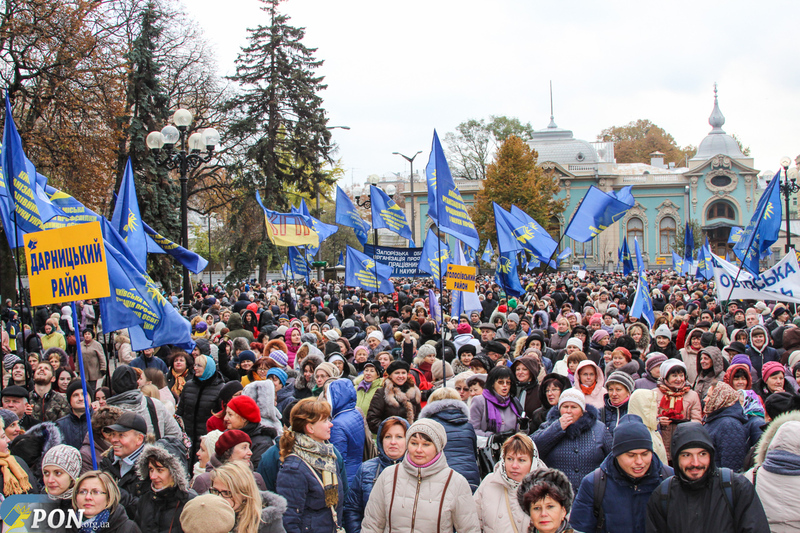 More than 15,000 education staff all over Ukraine participated in the action.